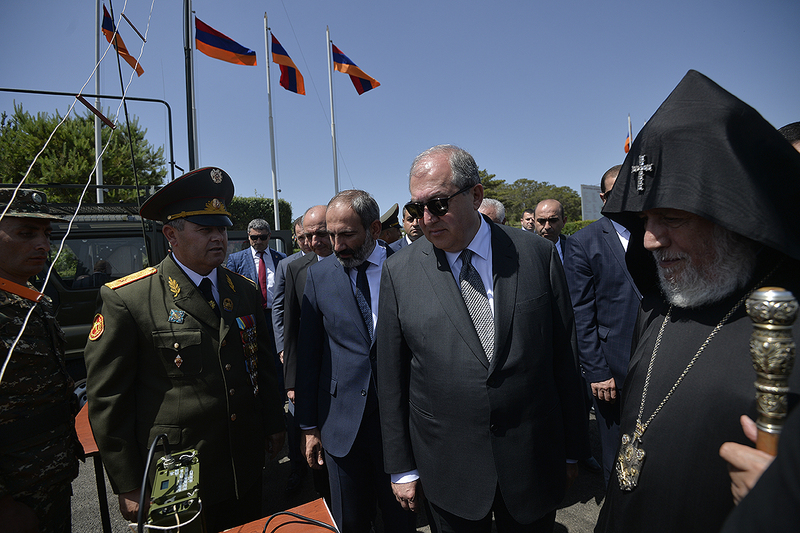 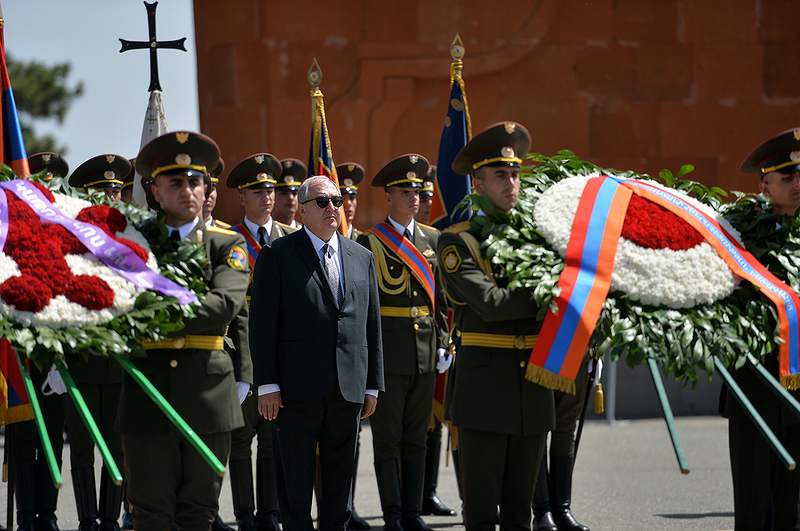 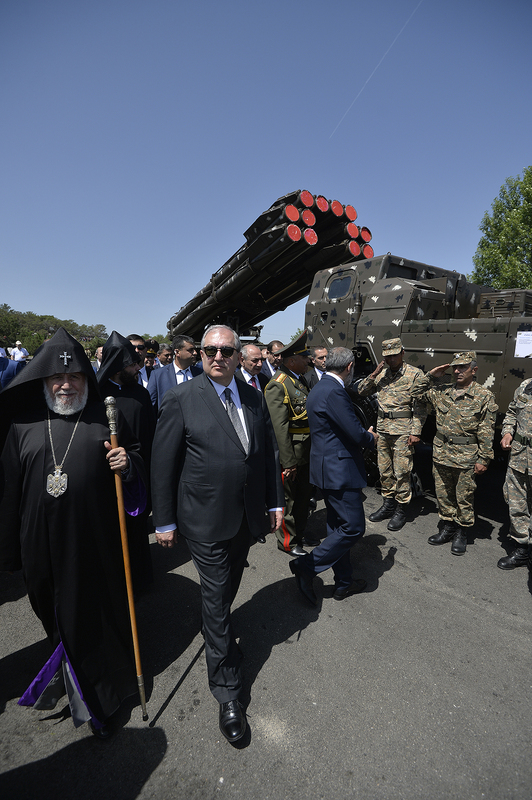 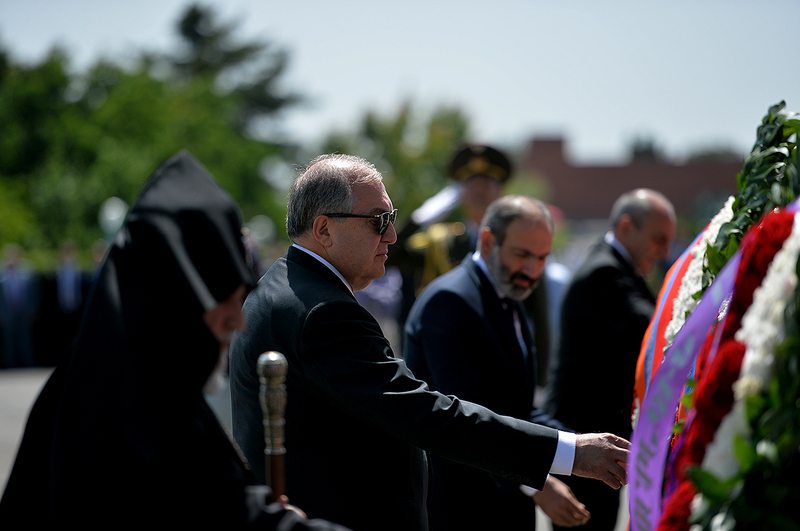 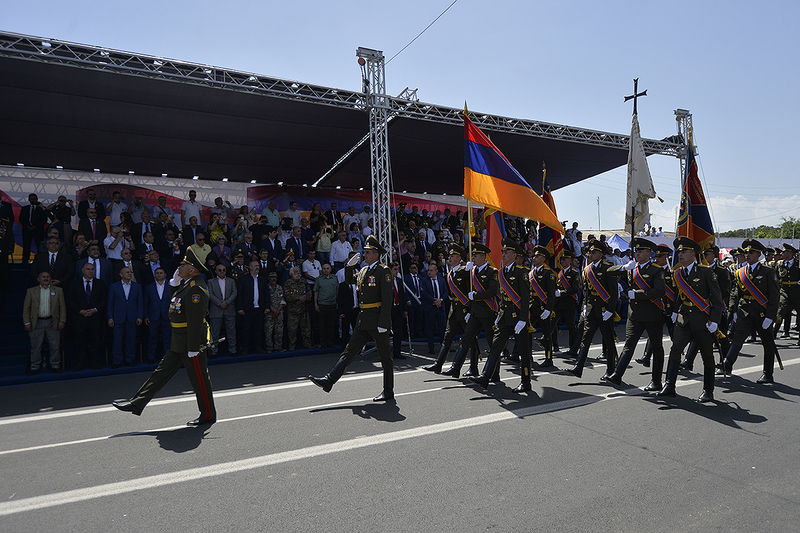 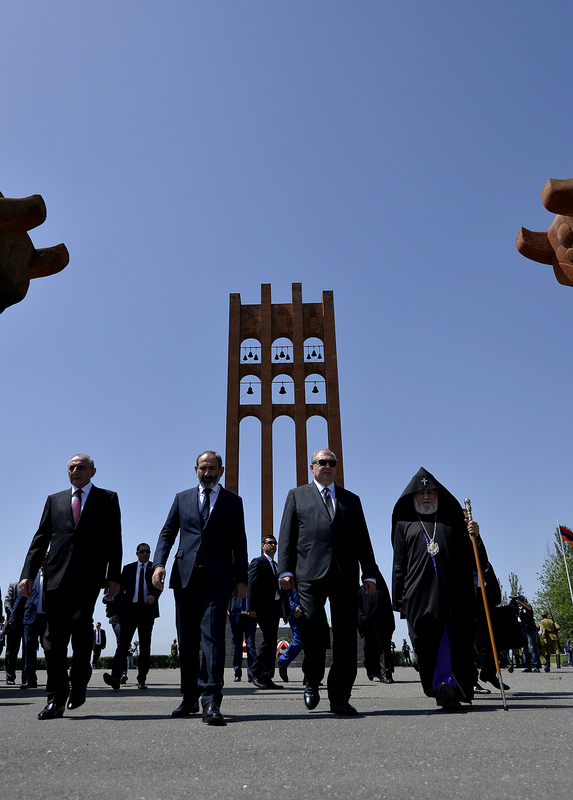 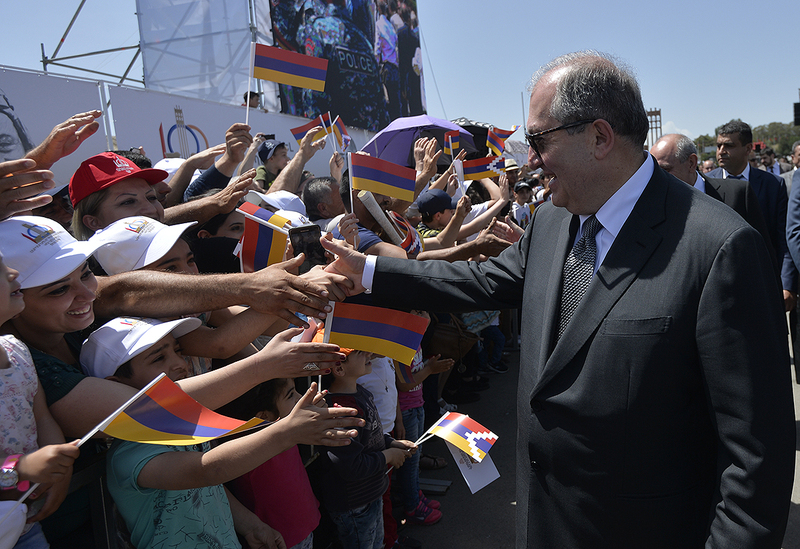 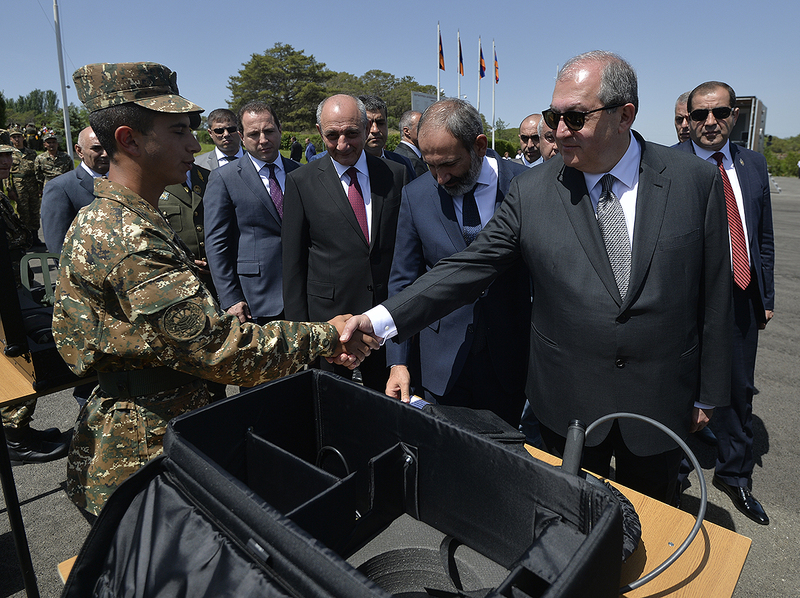 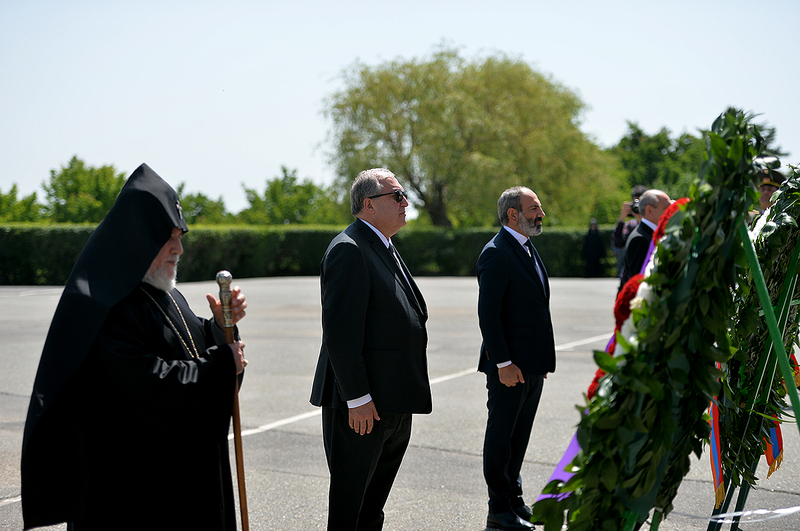 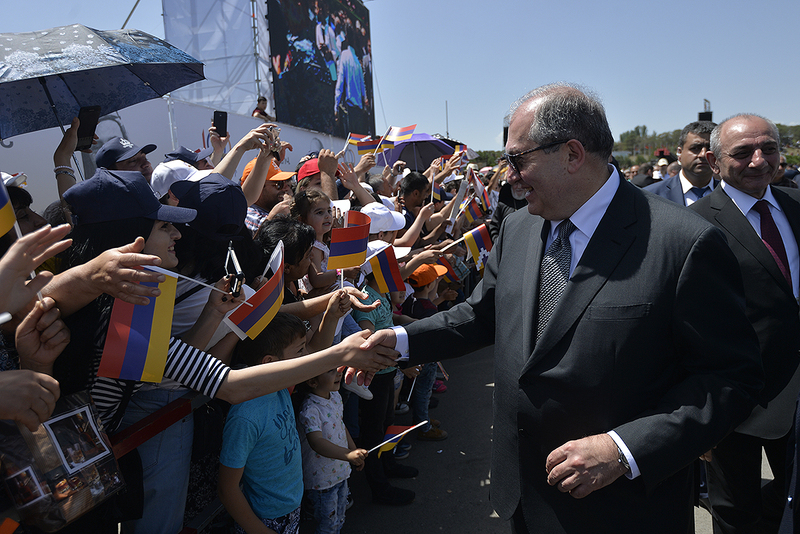 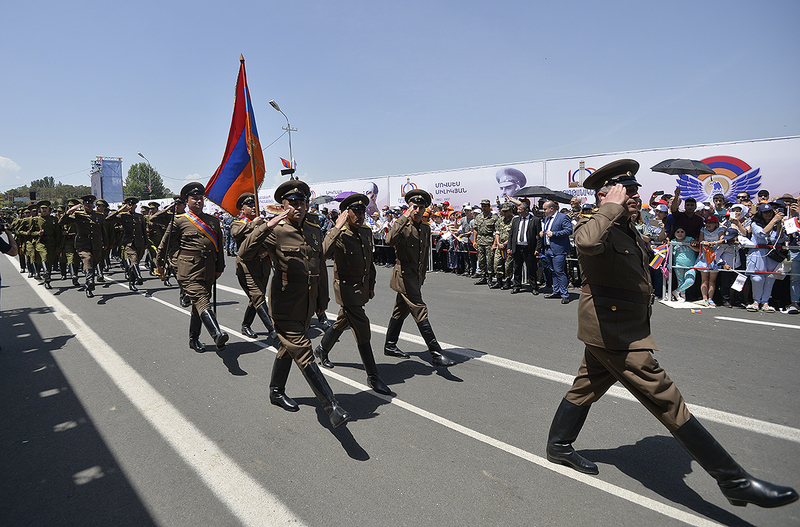 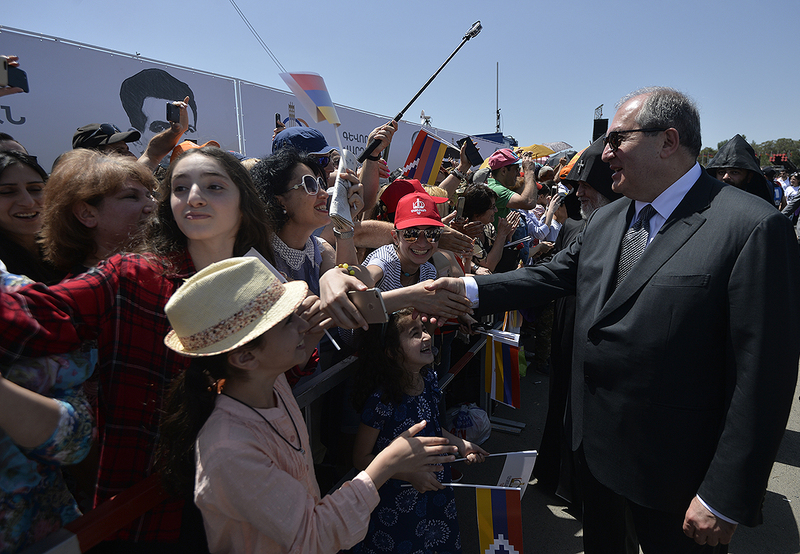 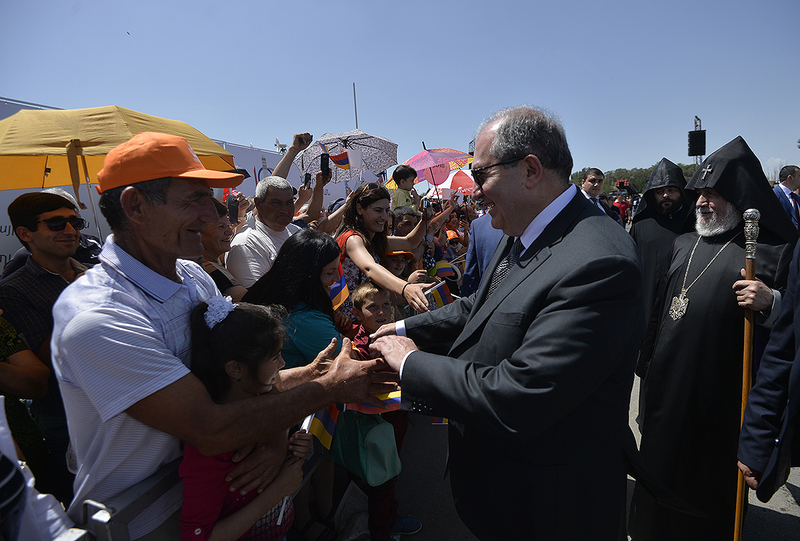 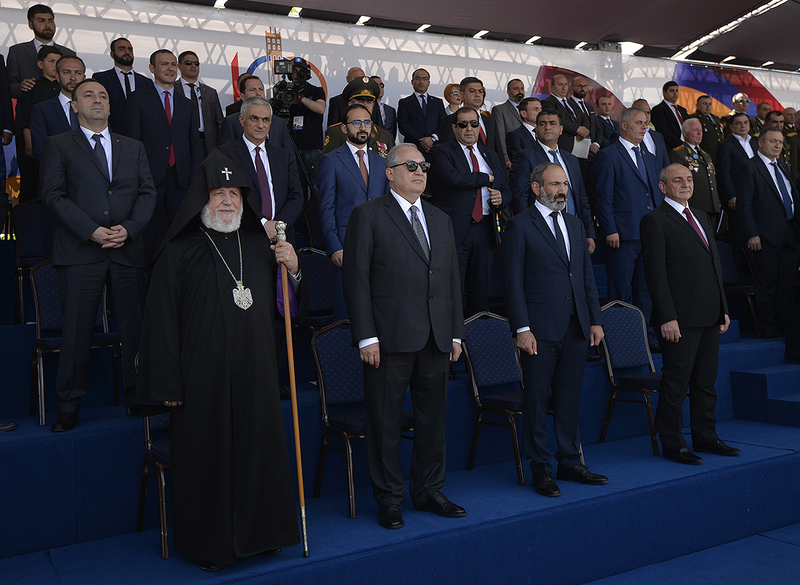 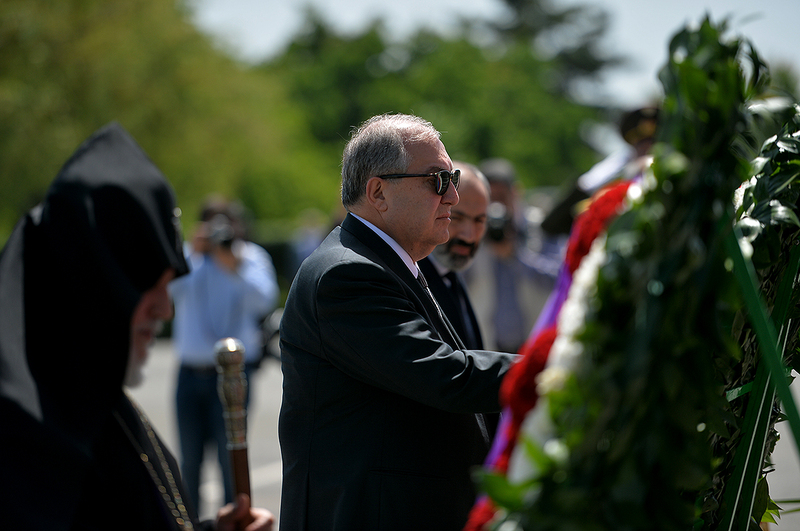 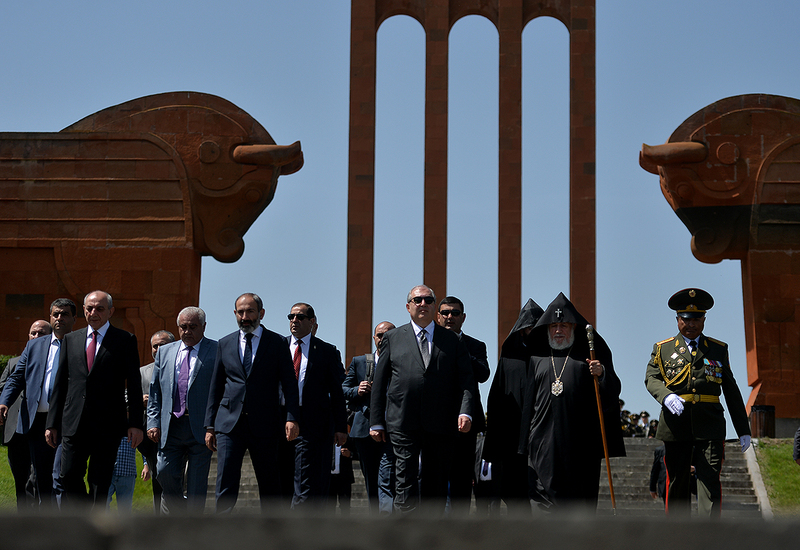 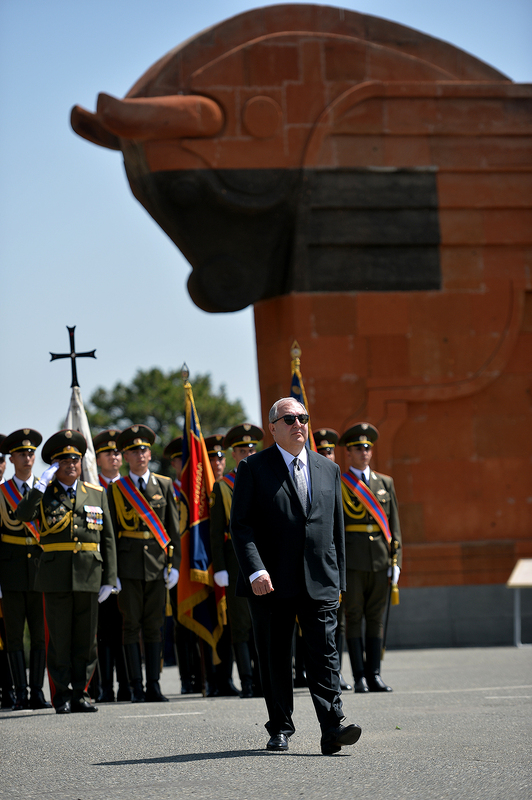 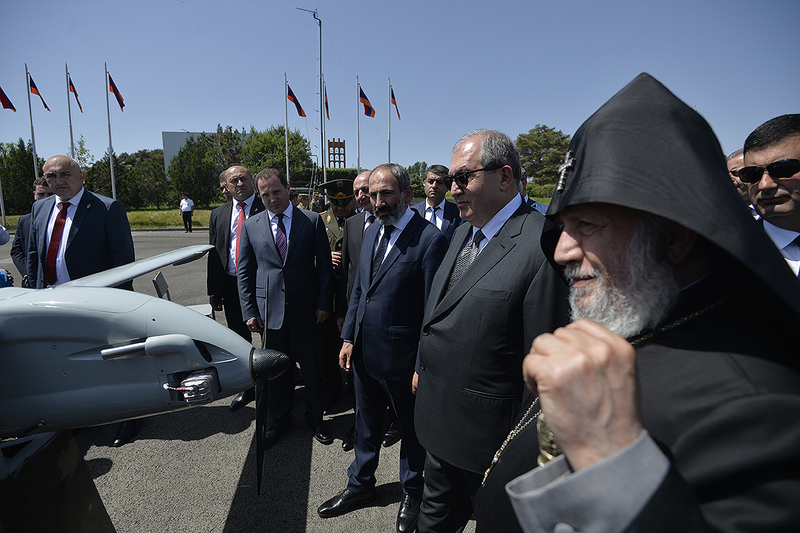 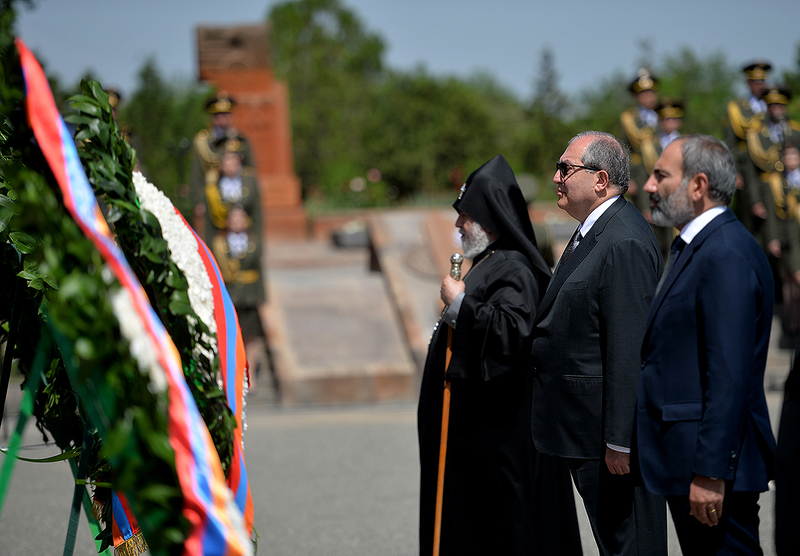 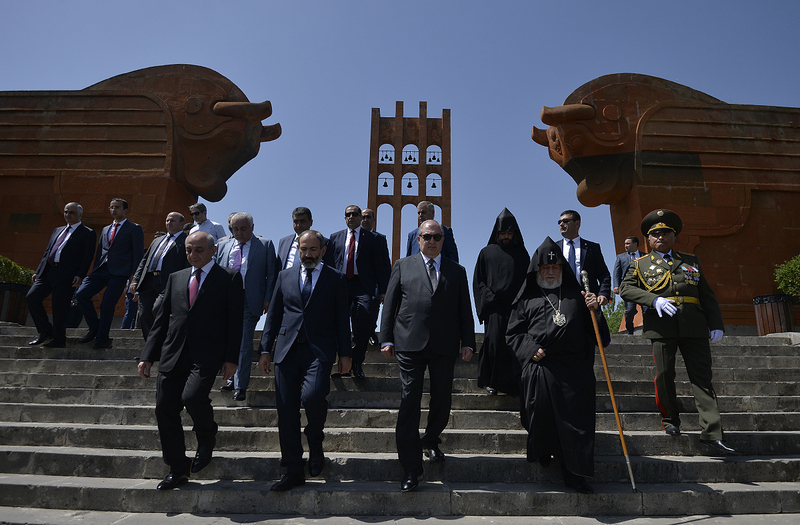 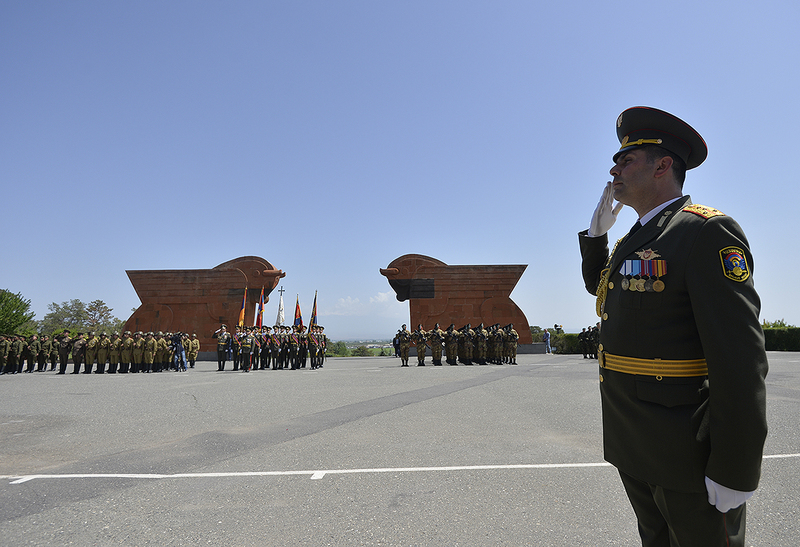 Today, at the Sardarapat Heroic Battle Memorial President Armen Sarkissian together with His Holiness Catholicos of All Armenians Garegin II, Prime Minister of Armenia, President of Artsakh and other high officials and guests visiting the Memorial participated at the event dedicated to the Republic Day. 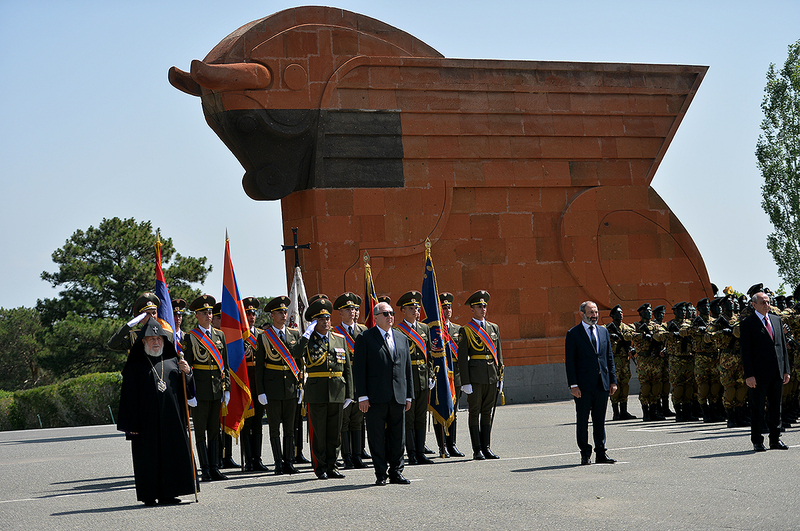 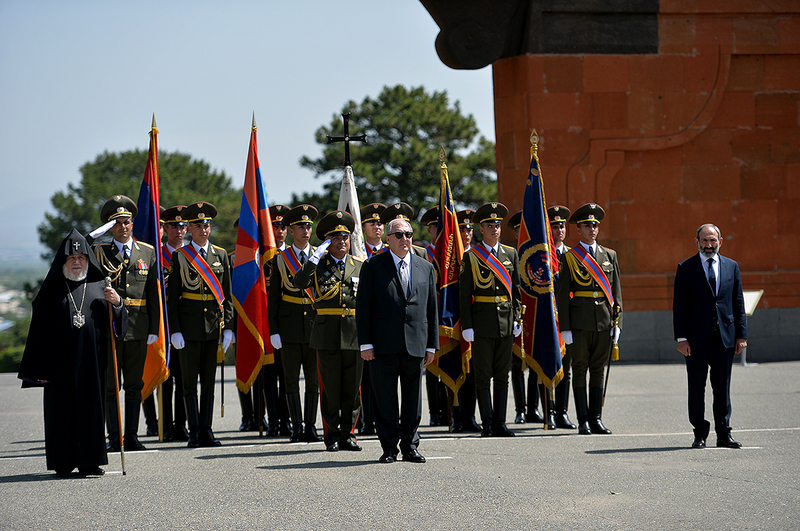 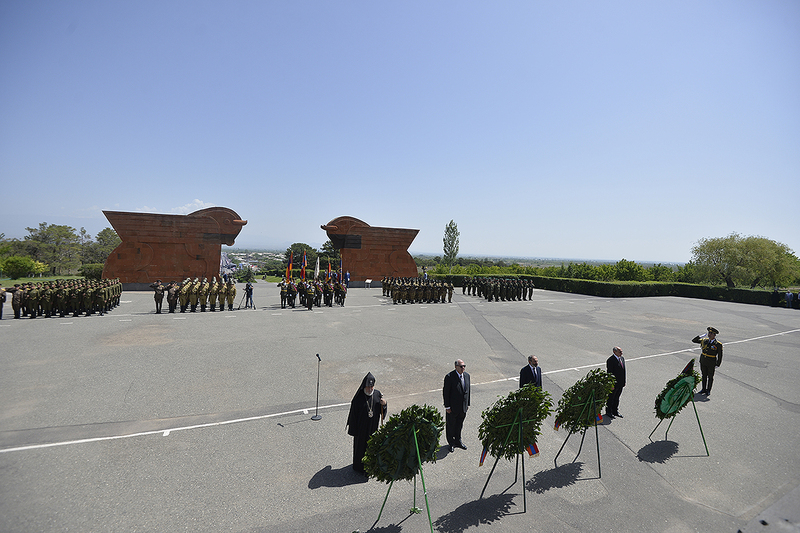 The President laid a wreath at the Memorial dedicated to the heroes of the Sardarapat Battle and paid tribute to their memory. 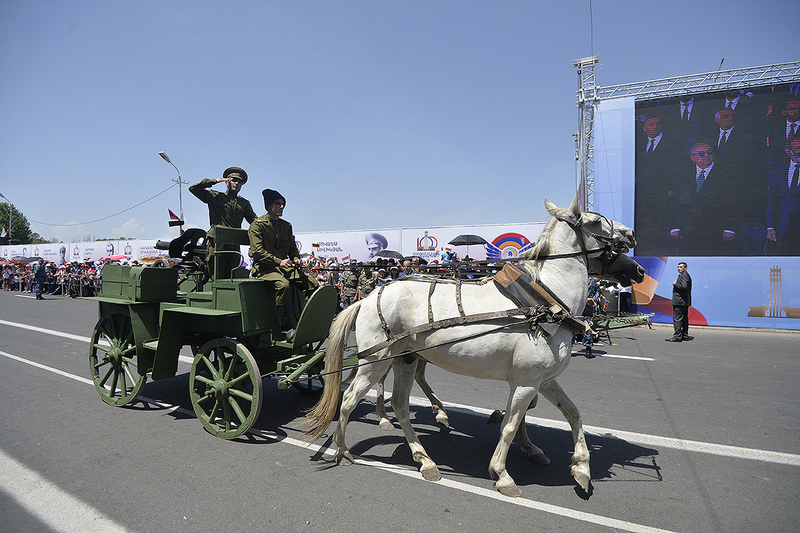 Later, he attended the military parade named The Victorious Century and dedicated to the Centennial of the First Republic and was present at the festive cultural event.